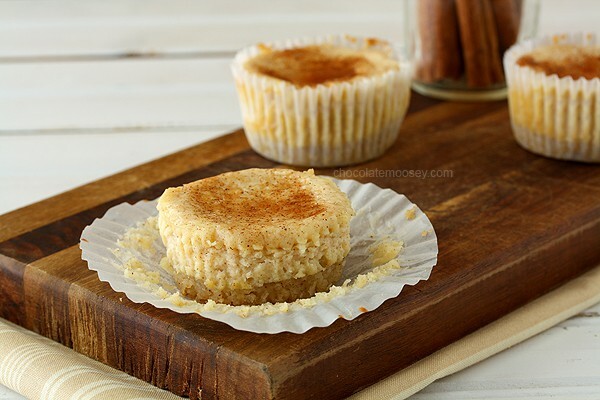 Small Batch Mini Snickerdoodle Cheesecakes, which is creamy cinnamon cheesecake in cupcake form with a snickerdoodle cookie crust, will disappear very quickly at your next get-together. What do you do with leftover cookies? I know, you’re probably thinking “leftover cookies? !” but last week when I posted about my Snickerdoodle Cookie Bars, my first batch didn’t turn out as planned. I first started out with a 13×9 pan, but the pan was too big, resulting in super thin bars. Without wanting to throw that batch away, I thought about making a cookie crust. I’ve used Oreos and gingersnap cookies for a crust; why not snickerdoodles? Ok so what dessert uses a crust? Cheesecake! And that’s how these Snickerdoodle Cheesecake Cupcakes were born. Individual cheesecakes to share with everyone (or to stash away extras for later). Just when you think I’ve made every version of cheesecake out there, I’ve never made cheesecake in cupcake form before. It’s quite brilliant, actually. Now that it’s October, there are plenty of friends and family gathering around food, whether it’s for tailgating parties, school activities, or even holiday parties as we head into November and December. 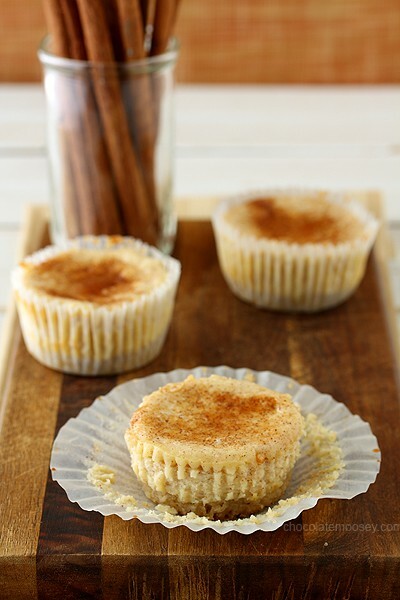 Cheesecake cupcakes are a great way to serve cheesecake to a large crowd without having to slice a whole cheesecake. Even if you have no intention of making these for a large crowd, they are great to make at home too. People have told me they don’t like to make a big cheesecake because they don’t want the top to crack. These cupcakes won’t crack plus there is no water bath involved. 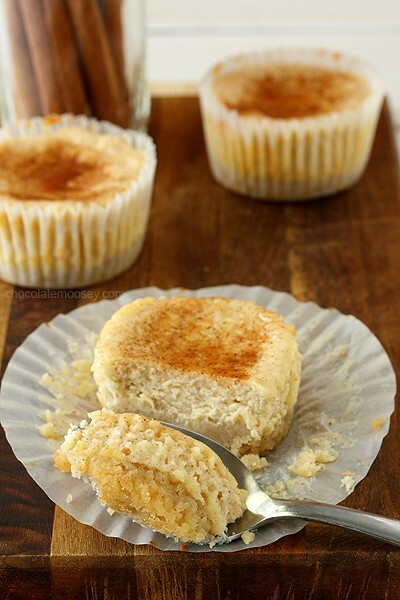 If you can make cupcake batter, you can make these cheesecake cupcakes. The hardest part is deciding how to eat one. 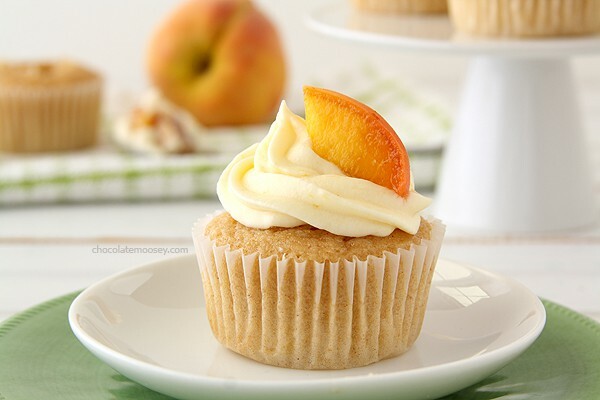 Pick it up like a cupcake or be elegant and use a spoon. Either way, you’re not going to be able to resist. Preheat oven to 325°F. 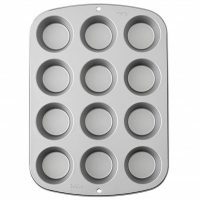 Line a muffin pan with 6 paper liners. In a small bowl, mix together the crumbs and melted butter until moistened and clumpy. Press roughly 1 tablespoon into the bottom of each paper liner and bake 5 minutes. In a large mixing bowl, beat together the cream cheese and sugar until smooth and creamy, about 2-3 minutes. Beat in the egg then beat in the cinnamon and vanilla. Spoon the batter into each liner and sprinkle with cinnamon sugar mixture. Bake 18-20 minutes or until the tops are firm to the touch and a toothpick inserted in the center comes out clean. Cool completely at room temperature then chill in the refrigerator for at least 4 hours before serving. I want to come to your potlucks. That is all. Pinned and saving to make for the holidays. My family will love these! Carla, you are a cheesecake genius. I love everything about these little cups of deliciousness. Single serving cheesecake is the best–no sharing! Pinned. What a great idea, Carla! These would be perfect for a party (or a party of, um, one- like just me standing in my kitchen) I love using busted cookies for a crust, and snickerdoodles (minus the cream of tartar :) ) would be perfect. I bake all the time but I’ve never made a cheesecake before. I keep saying I’m going to but always just fall back on cake or cookies. I think I’m going to have to branch out and give these a try! What an awesome idea! I love snickerdoodles and cheesecake isn’t too shabby either so putting them together sounds like the creation of an amazing dessert! It takes too much time to find a spoon and then scoop the cheesecake bit by bit into my mouth. I’m doing it the ol’ “grab several with my hands and shove directly into mouth” way. These look fabulous, Carla. 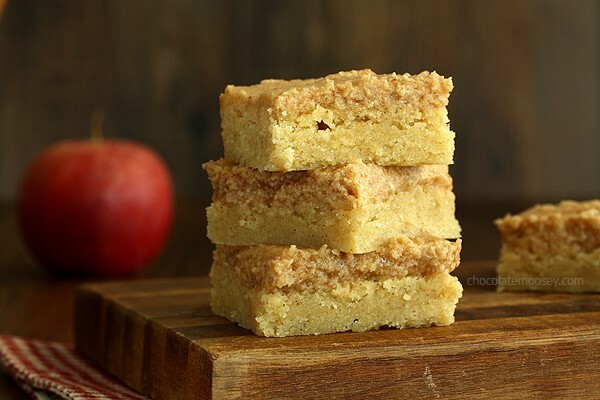 Great way to use up the snickerdoodle bars. Brilliant use of “failed” recipe in a brand new dish! Just happened upon your blog and I’ve printed, like, 4 recipes so far. They sound soooooo good. I can’t wait to try them. But, just wondering about the snickerdoodle crumbs in this recipe. Is this available at the store, or do you mean that I should make your snickerdoodles squares recipe in a larger pan like you did and them turn them into crumbs. Sorry for being so “dumb”?? Good question! You can make any snickerdoodle recipe you want (my bars or any cookie recipe of your choice) or if you see some cookies at the store (maybe in the bakery area or cookie aisle), you can buy them and crumble them up. I love making individual little cheesecakes like this. Great idea with the snickerdoodles! Do I leave them in the cupcake liners or take them off after an hour? Just took out of the oven, they smell great! 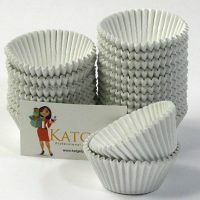 You can serve them in the liners like regular cupcakes. If you do want to take the liners off, wait until they are completely chilled. I just made these to share for the holidays. They are so good, I’m going to have to make them again since I’ve eaten too many🤷🏽‍♀️ I used a graham cracker crust since I didn’t have any snickerdoodle crumbs. Worked perfectly although I would like to try using the cookie crumbs. Thank you for sharing this wonderful recipe! 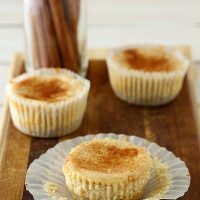 Love the substitute with the graham cracker crumbs, especially since I know not everyone has snickerdoodle cookies to crumble. Glad you enjoyed them!